Residents of the Reliaable Tranquil community off Sarjapur Road’s are fighting hard to get back parts of their layout left out by the builder. The scary tale is a lesson for every citizen buying land in Bengaluru. An event for photography enthusiasts in the city, promises a deeper understanding of the craft and networking with like-minded people. Residents’ decision to level a portion of a playground resulted in BDA, BBMP and Police landing up at the mammoth residential complex L&T South City off Bannerghatta Road. Can a supermarket with sanctioned parking for cars open it only for two-wheelers? This has caused citizens to pursue the matter doggedly, unexpectedly unearthing major violations. During a birding trip to Lalbagh, Ramesha spots a large number of Cormorants, besides Pelicans, Cattle Egret, Common Coot, Purple Water Hen and more. JR’s ‘Women are Heroes’, speaks through the voice of women, for the condition of women reflects the state of the society that they live in. 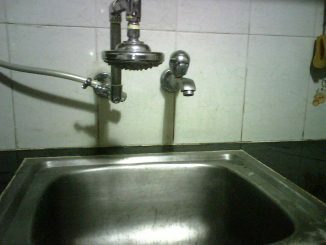 One Bengaluru resident talks about his experiences in installing individual water meters and other water saving measures.